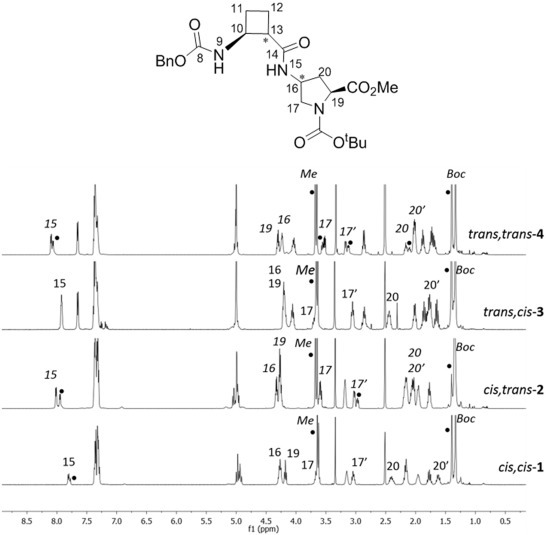 Several α,β,α- or α,γ,α-tripeptides, consisting of a central cyclobutane β- or γ-amino acid being flanked by two (D)- or (L)-proline residues, have been synthesized and tested as organocatalysts in asymmetric aldol additions. 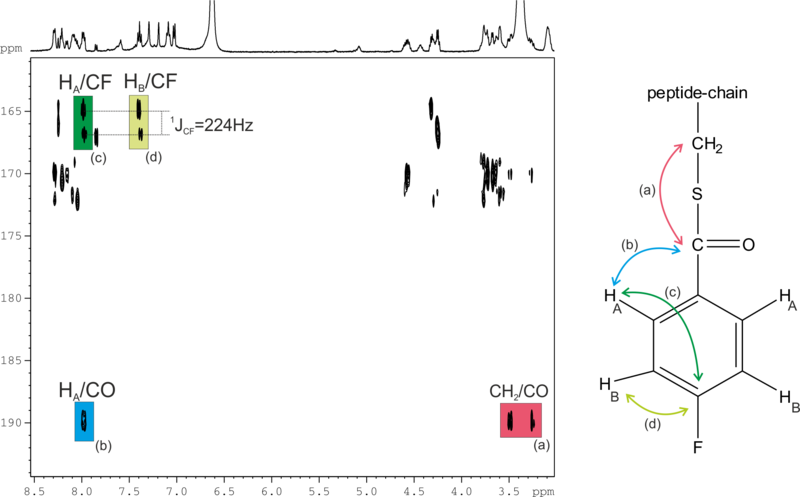 High yields and enantioselectivities have been achieved with α,γ,α-tripeptides, being superior to the peptides containing a cyclobutane β-amino acid residue. This can probably be due to their high rigidity, which hinders the peptide catalysts to adopt the proper active conformation. This reasoning correlates with the major conformation of the peptides in the ground state, as suggested by 1H NMR and computational calculations. The configuration of the aldol products is controlled by the proline chirality, and consequently, the R/S configuration of aldol products can be tuned by the use of either commercially available (D)- or (L)-proline enantiomers. The enantioselectivity in the aldol reactions is reversed if the reactions are carried out in the presence of water or other protic solvents such as methanol. Spectroscopic and theoretical investigations revealed that this effect is not the consequence of conformational changes in the catalyst but rather caused by the participation of a water molecule in the rate determining transition state, in such a way that the preferential nucleophilic attack is oriented to the opposite enantiotopic aldehyde face. 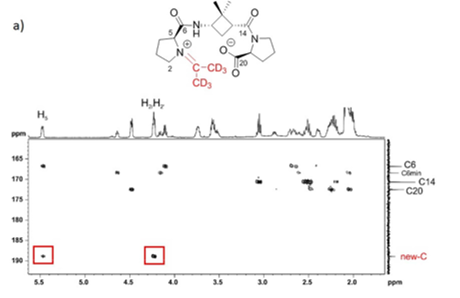 Fast cysteine labelling of peptides promoted by an adjacent arginine has been observed with a standard labelling agent specific for amines, N-succinimidyl 4-[18F]fluorobenzoate. HMBC experiment was the key experiment to corroborate this treat. The small amounts of some peptides herein studied required the sensitivty beneffits of a 500 MHz equipped with TCI cryprobe. “Synthesis and structural study of highly constrained hybrid cyclobutane-proline γ,γ-peptides” by R. Gutiérrez-Abad, D. Carbajo, P. Nolis, C. Acosta-Silva, J. A. Cobos, O. Illa, M. Royo and R. Ortuño. 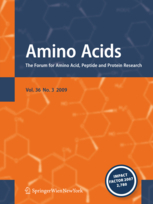 Aminoacids, Volume 41, pages 673-686, 2011. DOI: 10.1007/s00726-011-0912-4.